Local social enterprise, Manvers Lake and Dearne Valley Trust, has secured £25,000 as a winner of the Enterprising Communities Awards. A registered charity, the Trust provides community access to a full range of sporting activities and conservation opportunities. 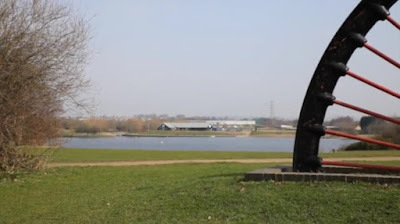 It was formed in 2011 to look after Manvers Lake and the surrounding area, and also manages the boathouse and facilities. The Coalfields Regeneration Trust (CRT), the South Yorkshire based regeneration organisation dedicated to improving the quality of life in Britain's former mining communities, runs a programme specifically to stimulate community enterprise and grow the social investment in those communities. As an organisation that has benefitted from the Enterprising Communities Programme, which offers community businesses and social enterprises access to practical support and guidance, Manvers was eligible to submit an entry to the awards. Making it through to the shortlist of seven organisations, the team were asked to present to an independent panel of judges, where they took the opportunity to provide an insight into what the organisation would use the award money for including the construction of a storage unit to hold new equipment to support a range of extended activities for a growing membership base. Ian Rodwell, director of Manvers Lake and Dearne Valley Trust, said: "There is no doubt that we were nervous when we were presenting but it gave us the perfect chance to showcase the wide range of opportunities and experiences that we deliver to the benefit of the community and surrounding area. "Thanks to this award we can now invest in the club and provide the new boat and equipment store which will help us give our members even greater scope to try new things. We really do want to encourage people to try sports that they may not have considered before and to have fun while keeping fit and active." Manvers Lake is central to the massive Waterfront regeneration project which includes 450 homes, business parks, hotel, retail outlets and neighbourhood facilities. Developers TCN UK provided a 3,600 sq ft boathouse for the local boat club, which operates flat water canoeing to Olympic standard, sailing, dragon boating, model boating as well as coarse angling. A new equipment store is being built with the help of grant funding from the CRT, with Sport England and the Veolia Environmental Trust, that will provide storage for up to 500 kayaks, canoes and sailboards plus associated kit such as paddles and buoyancy aids and also for safety boats and other vital equipment. Manvers will also become a champion organisation of the Coalfields Regeneration Trust and used as an example of best practice to other community and social organisations in the coalfields.